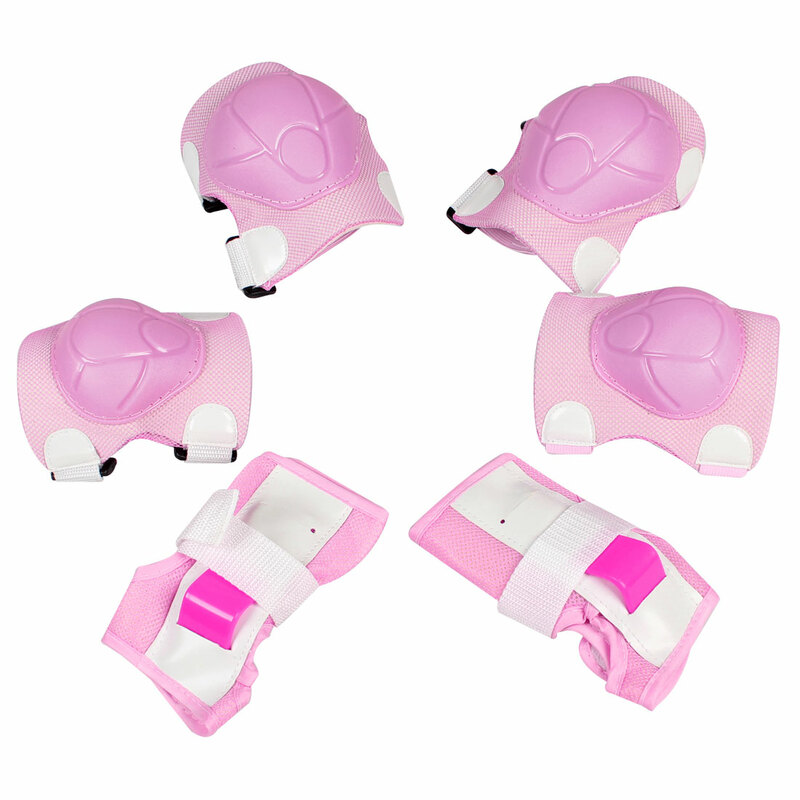 Set skating protective gear for , designed with pink hard plastic guard in tortoiseshell design, nylon mesh sponge pads, hook loop closure, pink elastic bands, easy and comfortable to wear. Give knees, elbows and palms an effective protection from possible injuries on skating or other sports activities. Note: please kindly measure your elbow, knee and palm size before ordering this item.